Discussions or guides that offer recommendations about what supplies and items you should have in what quantities in to order to survive a given type of disaster are common. No two crises and climates are alike, and so this format has merit. Differing climates and situations mandate different approaches. I myself might have written more than a few paragraphs just like that. 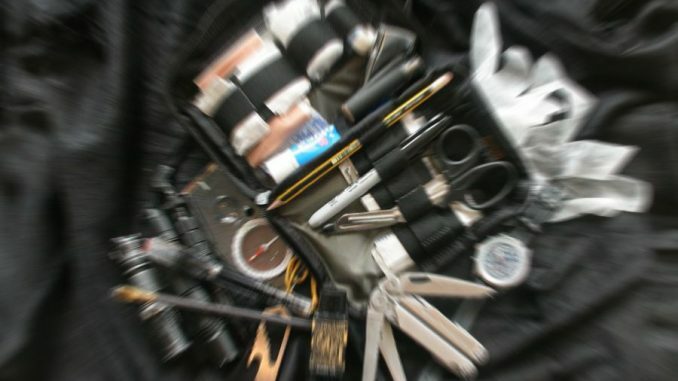 But today instead of another specific, customized deep-dive assessing what kit you’ll need to survive a particular crisis, I’ll be presenting a generalist’s list of gear that I consider mandatory no matter what situation you’ll be facing and how you plan to cope with it. Bugging out or hunkering down, alone or in a group, wildfire or blizzard, atom bomb or active volcano, the following items are valuable in literally nearly any circumstance you could encounter, or rather, hopefully avoid! These have all been chosen with emphasis placed on lightweight, multipurpose designs that can fulfill two or more objectives at once. So in the bunker, on the road or on foot all of these items are worth your coin and room in your pack. The items on this list are presented in no particular order of importance. I have purposely not instituted any rigid structure in grouping the items except for convenience and ease of reading. Humans of course are subject to hard requirements when it comes to survival and many choose to base their preparation rigidly around those tenets. Things like water, food, shelter (or more accurately thermoregulation of body temperature) and security are the foundational necessities we all know, but you should not be blinded by them. Water is absolutely vital to life, even in the short term, but if you were to place a man ill-dressed out in frozen, subzero weather conditions he would have far more pressing concerns than dehydration. He is surrounded by water, but water he cannot use and most likely will not be able to use in time unless he is able to get warm. Similarly, a person facing an arduous and harrowing journey through a city imploding from social strife would likely not place food as their main concern. Security and mobility would be far more important to them immediately. I know I just got done making a point that water may not be a huge concern in your specific situation, but let’s face it: the only thing more important for sustaining human life in the short term than water is air! Having known-quantity drinking water on hand is best. Barring that, knowing where you can source water reliably is second-best, but in most situations means that the cleanliness of the water will be suspect. The ability to remove chemicals, germs, microorganisms and particulates from your found water is essential. Even clear, cool running water may be hideously contaminated with cooties that can make you dreadfully ill or even kill you. Sure, some of those things are just very unpleasant in kind times when you can glug down the Immodium and binge on your favorite movies or TV shows, but a cramping gut and uncontrollable diarrhea can become debilitating in a survival situation thanks to rapid water and electrolyte loss. A high-end, lightweight water filter in conjunction with water sterilization tablets or liquid will let you make all but the most polluted water safe, or safer, to drink. Modern filters especially are incredibly efficient, and their small footprint is more than justified in your pack. Even if you have gallons and gallons of potable water stored, don’t risk running out of drinking water because you have no way to make other sources safe. 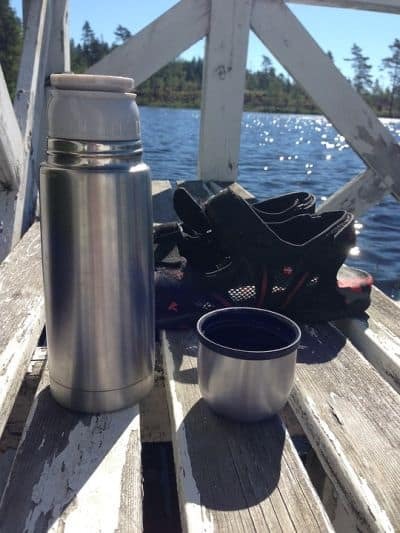 If you were only going to carry one vessel for your drinking water, make it a good sized, no frills, sturdy metal one. A sturdy metal bottle may weigh a hair more than a similarly sized plastic one, but its general durability and more importantly its ability to boil water for sanitation and cooking will make it worthwhile. The ability to boil water is crucial, not just for making the water safer to drink and for cooking as I mentioned, but also for its ability to potentially sterilize metal utensils of all kinds, from cutlery to field surgery implements like suture needles. Of course for some of you bean-juice fanatics the ability to make a cup of joe, real coffee may trump all other priorities! Choose a model with a wide mouth that is easy to fill, either from a secondary water storage container or found water. Sure, they are a little trickier to drink from than a nice narrow-necked one, or one of those fancy bite valves, but the ease of filling them is more important. Take care whichever you buy that its internal liner, if any, will resist heating water to boiling temperature. If you are dead set on a plastic bottle, you can purchase a large metal cup that nests around it to save room and achieve the same ends. Think the classic kidney shaped metal cup found on military canteens the world over and you have the right idea. This dual solution may be the best of both designs. 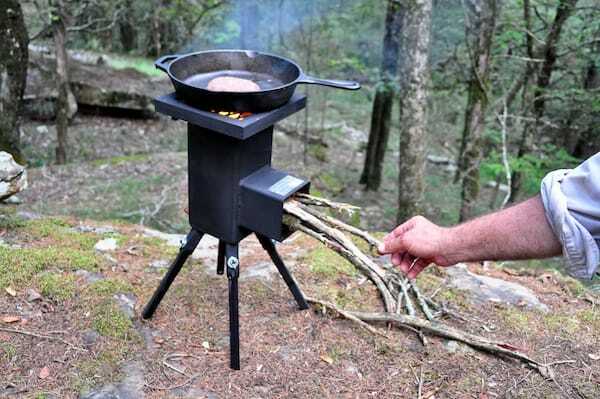 When you want to get food going or water boiling, it is much faster and easier to pop one of these tiny, mighty stoves out of your bag and add some fuel than build a proper cook fire. 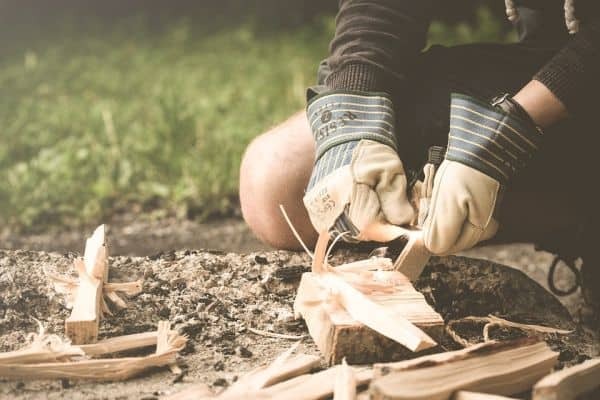 Any time you save building a fire or scrounging for fuel can be spent on other essential tasks like rest, repair or planning. Stoves in this class can accept anything from propane and alcohol to charcoal or wood, giving you freedom from dependency on any one fuel source. Some models even feature a thermoelectrical battery that stores energy created from fire with USB connections allowing you to keep any rechargeable devices charged up. If you have a GPS, smartphone or flashlight that is rechargeable this is a great way to truly get the most energy possible from any fuel you have. The convenience and speed on offer with one of these little marvels is too good to pass up. Fire is a fickle servant, but crucial when the electricity is off and lights are out. Fire is essential for warmth, light and signaling, both from light and smoke. To ensure you can create a fire, a proper, roaring fire in a hurry, have at least 2 handy, easy to use fire-starting tools available. 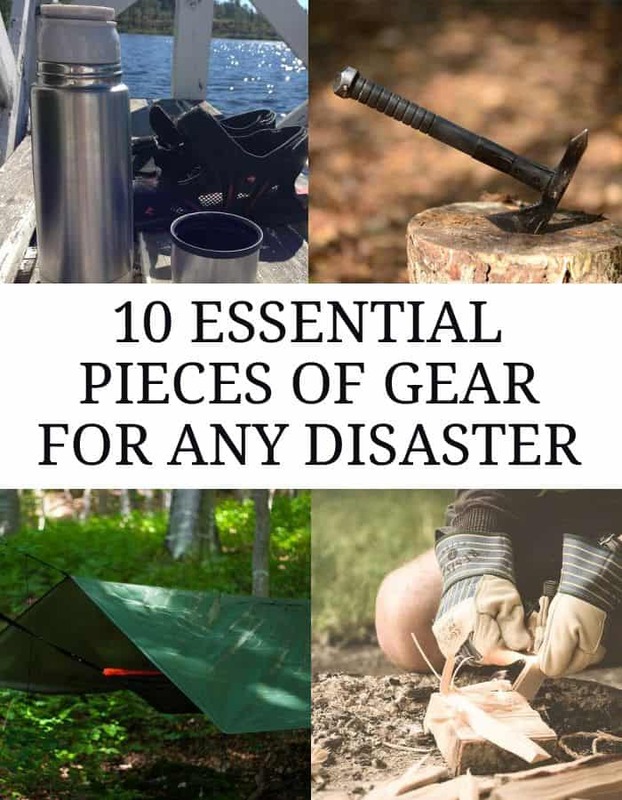 Many outdoorsy types gravitate toward fire steels and ferro rods for their simplicity, and so long as you have the striker or carbon steel knife to use with them have almost nothing that can fail except if you lose them. Tinder selection and technique is important with these, so practice ahead of time so you don’t struggle when you need it for real. Those sparking tools are great, but nothing beats the ability to summon a flame with a snap of your fingers. A classic butane lighter is reliable, cheap and tiny enough to carry a few with no consequence. More expensive and ruggedized outdoor or survival models have greater capacity and will work in more adverse conditions. Survival or “storm” matches are often waterproof, sturdy and burn furiously compared to common or grill matches. A bundle of these stashed in a tube makes for an excellent redundant fire starting method. For efficiently processing wood and small trees, light demolition and brutal close-range defense, the utility of a small ax in one form or another is unmatched. A field knife is a perennial choice for an all purpose tool, but for a small increase in weight adding one of these diminutive axes to your kit is a smart move. As far as differences go, tomahawks are typically found with a straight handle and optimized more for combat or demolition. Hatchets usually have a recurved handle and are best at processing wood. Either will work admirably for chopping and splitting small pieces of wood, but you can get the most bang for your prepping bucks by carefully choosing what feature is on the poll, or backside, of the head. Many tomahawks feature spikes that excel at piercing, and can readily be used to pop hinges, shackles and locks by leverage. Choose a spike poll if you want your tool to better serve for demolition and some light B&E. Many hatchets and a few tomahawks feature a hammerhead protrusion, called (surprise) a hammer poll. Used carefully and minding the edge now facing you these can work almost as well as a carpenter’s hammer and will also make short work of driving pegs, stakes and the like. For generalist work the hammer poll excels. Rather than carrying an entire toolbox around, you can save pounds, space and aggravation by keeping one of these wonder gadgets close at hand. From tightening, tweezing and screwing to cutting and carving, a good multitool will prove invaluable at home or in the bush. Choose a model with robust pliers in a size large enough to afford you some real leverage with the jaws. Besides that, the more tools onboard the better, within reason. You may prefer a model that stores interchangeable driver bits either onboard or in a sheath, or one with fixed bits. Both have pros and cons. I prefer a larger unit with a few more sizes rather than the interchangeable bit setup, as they will not come loose and get lost. Lighting is crucial in any disaster scenario. The ability to banish the darkness and do so in a hands-free way is invaluable both for navigation and other work-related tasks. LED technology continues to improve at a rapid pace, so these guys get smaller, brighter and run longer every year. Add in different color lights and variable power and modes and you are hard pressed to beat that kind of performance. 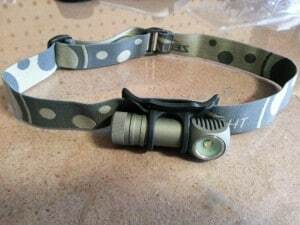 With the exception of running a handheld light with a pistol or needing general floodlighting for camp or home, I have rarely wished for handheld instead of a headlamp. Keeping your hands free and the light aimable based on where you are looking makes sense for the majority of tasks. Choose a model that features a common, affordable battery, is rugged and features easy switchology. Turning on a three color signal strobe when you just need a firefly to see by is aggravating and wastes power. Don’t forget to toss in extra batteries. Yeah, you’ll look like a baked potato, but these foil-like blankets reflect a massive amount of heat, and are excellent for general insulation as well as setting up a reflective shelter to catch more heat from a fire. Good ones pack down small and weigh almost nothing, so keep a couple on hand. The uses for the humble tarp are almost limitless. 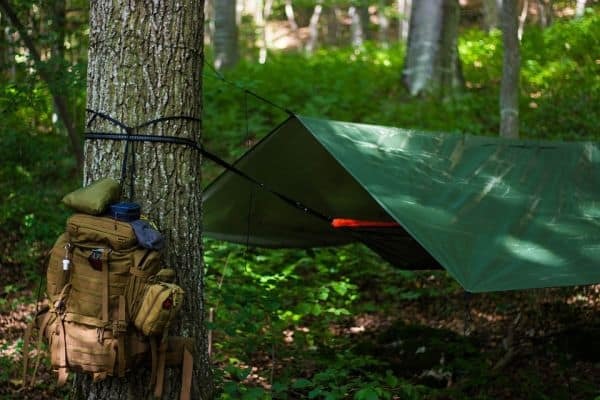 From creating privacy to simple shelters or ground cover, a tarp and shank of small light cordage will let you tackle a host of situations with ease. When choosing a tarp, opt for one that is at least 5’ x 8’ to allow you to rig it as a shelter. The material should be completely impermeable to water, and it should have many heavy duty grommets to allow you to rig it however the situation demands. Don’t skimp out on quality! An $8, crackly bargain bin tarp will work for a time, but is not going to hold up as well as one made to a higher standard with better materials. Remember this: common items chosen for survival equipment should be selected with the same discernment as other, flashier gear. Some pieces of gear make a difference no matter what kind of situation you are facing down, and where you choose to endure it. Hunkering at home or hiding in the backcountry, the above items all deserve a place in your stores or pack and together can keep you hydrated, warm, fed and safe. Boots ,hat etc.personal items and a 22 gun at least. I have two hatchets, one of which is in a survival tub that I keep in my truck. I also keep two machetes in my truck, which I have found to be much more useful. 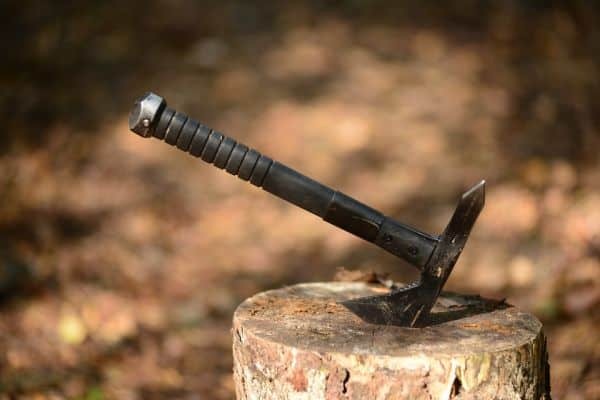 Granted, a hatchet can be used for self defense (when you run out of ammo), but a machete is far more capable of clearing dense brush and I would much rather wield a machete than a hatchet in a defensive situation. I can’t remember the last time I used the hatchet. You show a vacuum bottle in article. You can not use any type of vacuum bottle for heating up water.